Located on the same campus where it’s namesake, Darrell Griffith, scored big points for the Cards, Griff’s opened in January of this year, giving students and locals alike a place to take in the game and dine on Dr. Dunkenstein’s favorite fare. 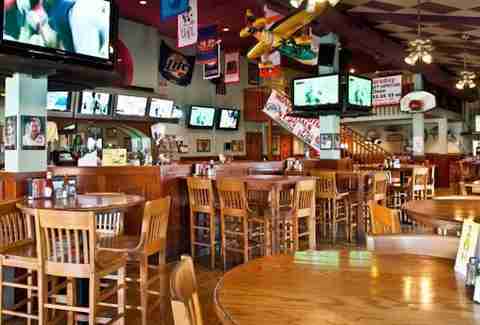 Indeed, Griff’s presents itself as a food-focused sports bar, where all of their sauces are homemade and their burgers are house-ground. 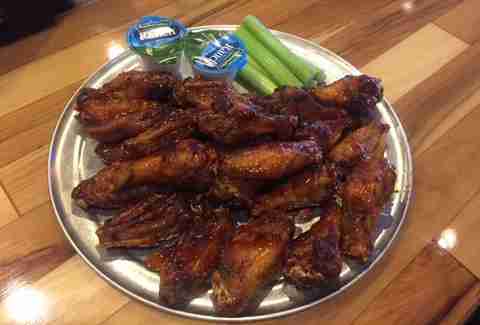 The wings are particularly unique, smoked onsite assuring total juiciness, then tossed in a spicy dry rub -- Darrell Griffith’s favorite praline sauce is the recommended finishing touch. If you aren’t able to make it inside the YUM! 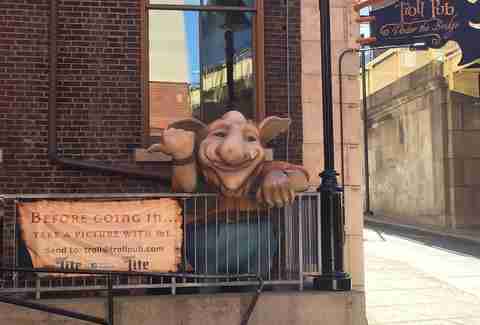 Center for a Cards game your seat is just about as good at Troll Pub. Situated directly adjacent to the home of Cardinal basketball, there are nearly as many TVs as there are people in this underground bar, which is packed solid before and after every YUM! Center main event. All of the typical bar fare is on offer, as well as a handful of Kentucky classics like the Hot Brown entree and their signature beer cheese served with pretzel sticks. 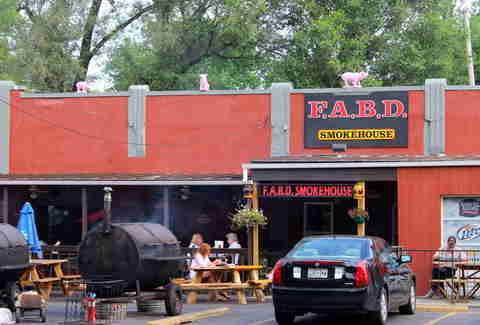 With plenty of TVs, a massive smoker full of some of the best BBQ in town, and a ‘mini’ mini-golf course on site, it comes as no surprise that the Crescent Hill set flocks to FABD whenever their favorite team is scheduled to throw down. The Beer Depot has been a Louisville staple for years, with an atmosphere befitting patrons of all ages. With a solid view of a television anywhere in the house and buckets of beer aplenty, you will be hard-pressed to find a more ideal way to pass the big game when you find yourself in Crescent Hill. With the motto "your closest home to home," Brownie’s is the quintessential neighborhood bar and gathering spot, offering solid food and more than enough beer to go around. 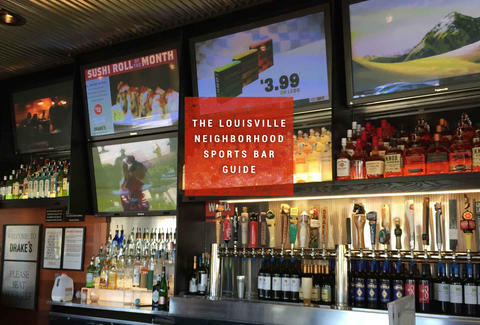 They saw the need for a true sport’s bar in the Highlands and answered the call, opening their second location on Bardstown Rd in November of 2014. Both the new digs and their flagship location on Hurstbourne carry a variety of TV sport packages including the MLB Package, ESPN College Gameplan, The Sunday Ticket, Big 10, and all the Fox Sports Channels; if your favorite team happens to be small and obscure, chances are you’ll still be able to cheer them on at Brownie’s. 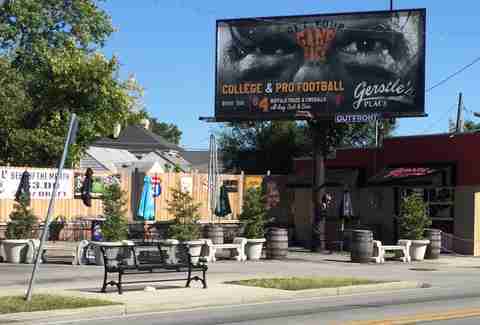 Home to the Louisville’s official Minnesota Vikings Fan Club, Gerstle’s Place has been a St. Matthew’s watering hole since it opened in 1924. 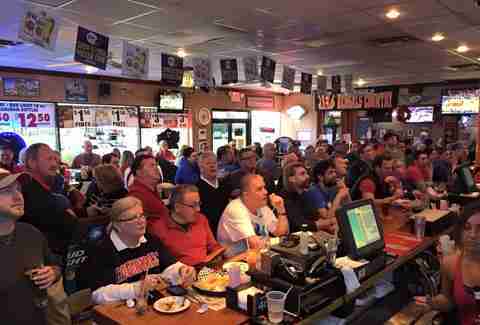 Vikings fans gather at Gerstle’s on game nights loudly and proudly, especially now that Louisville’s own Teddy Bridgewater is at the helm of the ship, holding court as Quarterback. Burgers, hot dogs, and an array of fried fixin’s are on offer if you’re hungry, and drink specials are standard on any game-day of note. Be sure to stick around post-game to hear some of the ‘Ville’s best live music acts, which take to the stage at Gerstle’s seven days a week. If you’re looking to shoot pool while cheering on the Cats or Cards, then Diamonds is designed for you, with billiard tables and HD TVs lined up as far as the eye can see at both their Highlands and St. Matthews locations. Game-day drink specials are nearly always on offer, with deals like $2 domestic pints, $5 pitchers of Coors Light, and $11 buckets of beer with discounted bar food to boot. Originating in Lexington, Drake’s was an instant hit when it made the move 60 miles west and put down roots in St. Matthew’s and the Paddock Shops. 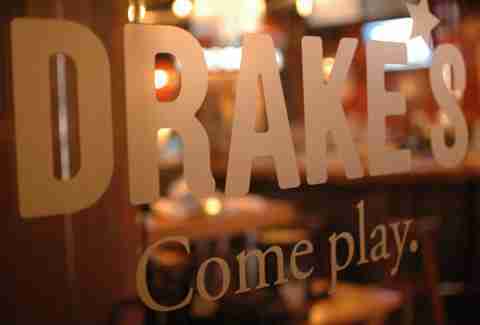 Daily drink specials, trivia nights, and wall-to-wall televisions make Drake’s the perfect place to take in whatever team happens to be throwing down on any day of the week. The menu is varied and includes a long list of sushi rolls, offering a welcome change of pace from the expectedly greasy fried fare. If you’re looking for a local version of Hooters with spicy wings, lots of flat screens, and scantily clad waitresses, this is your place. The BBC has a laundry list of house-made brews on offer at both their West Main and St. Matthews locations, ensuring you don’t go thirsty while cheering on your favorite team. 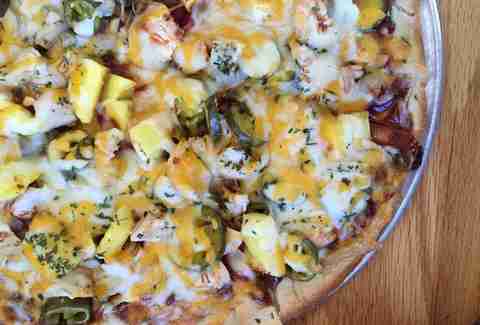 This family-friendly operation also scores big points in the food arena, with a diverse menu that is highlighted by their pizzas (we recommend the BBQ Chicken), Kentucky Bison Burger, and a nice variety of vegetarian-friendly options. Head to the St. Matthews location to watch both their beer being made and the game on the large projection screen, or scope out the downtown location (which just happens to be conveniently located next door to the YUM! Center). 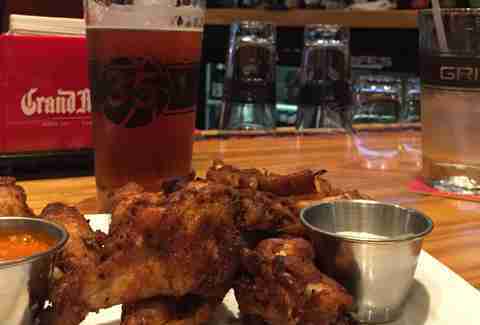 Lone Wolf Family Sports Bar is, as its name would suggest, a good pick for catching the game when your kids are in tow, and the menu is affordable, particularly when you’re buying for a crowd. Family friendly doesn’t mean you have to deprive yourself of a beer, however, and Lone Wolf celebrates big nights in football/basketball/baseball season by offering drink specials for the adults. Lindsey McClave is a Louisville writer who knows exactly what the coach SHOULD be doing after she’s had a couple of drinks. Like, it’s obvious. Follow her rants at @FoodieGirlKY.